I’ve had a few days to sit and think about #Hater. And I’ve thought about it quite a bit. I loved #Nerd. Seriously, LOVED it. It was one of my favorite reads of 2014. 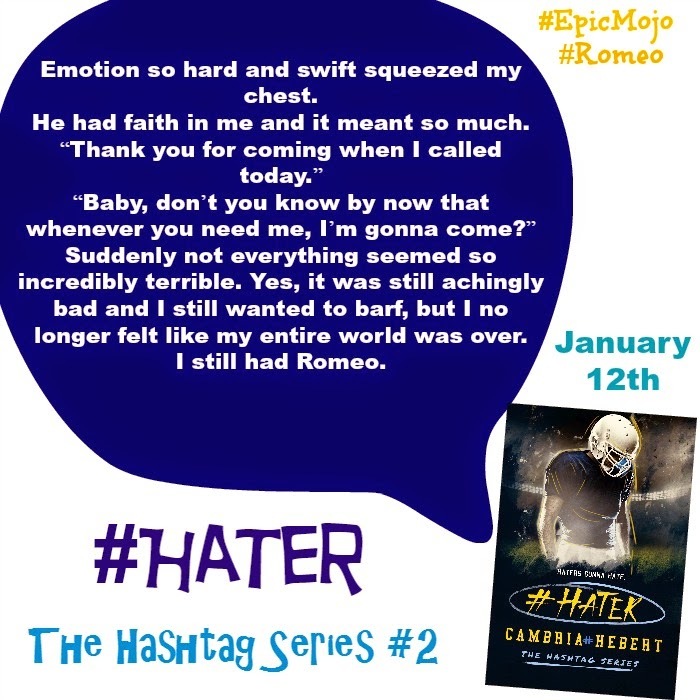 And I knew I’d like #Hater because I was already in love with Romeo and Rimmel. 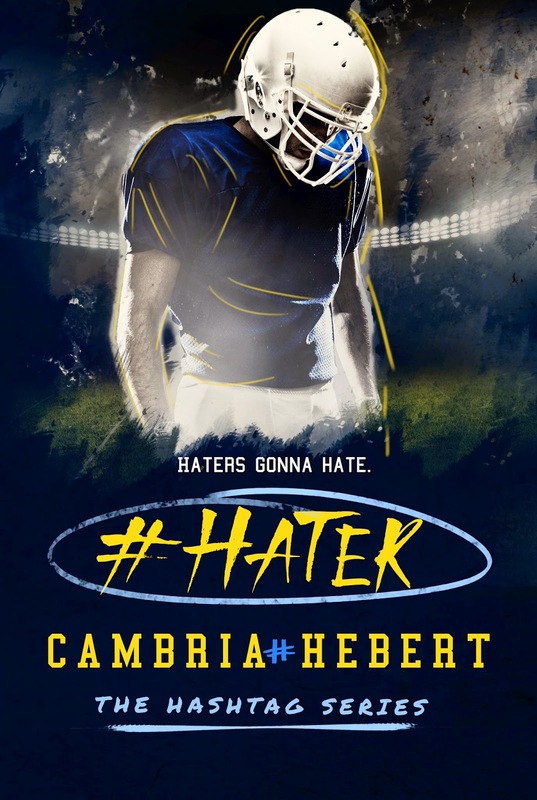 #Hater picks up after winter break at Alpha U. The championships are coming up. All new classes for both Romeo and Rimmel and a slew of personal obstacles are constantly thrown at our two lovebirds. They manage to hurdle them, but just barely. I felt like Romeo lost control a lot in this book, and both he and Rimmel were constantly on edge. And thank goodness my college experience was NOTHING like this, because I don’t think I would have managed to stay sober as often as I did. 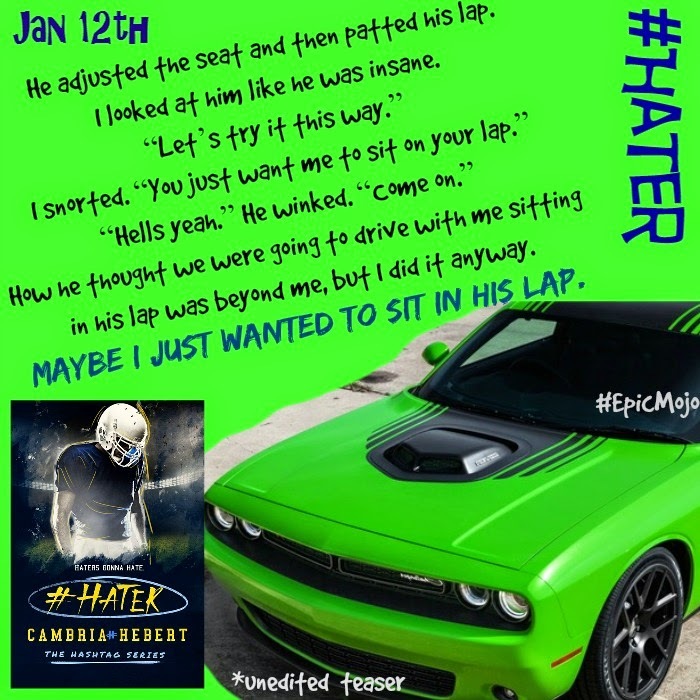 Going into #Hater, I wasn’t sure if I would like the plot of this book. I have to say I did. As I was reading, I genuinely enjoyed the story. Before I read the book I was worried it might have been too melodramatic for my personal taste, despite my love of #Nerd. Because #Nerd was different. It was about finding a someone to love in the least expected place, and the characters ultimately drove that story. #Hater is still very much character driven, only it’s not necessarily the happy, nice side of the characters that drive this story forward. 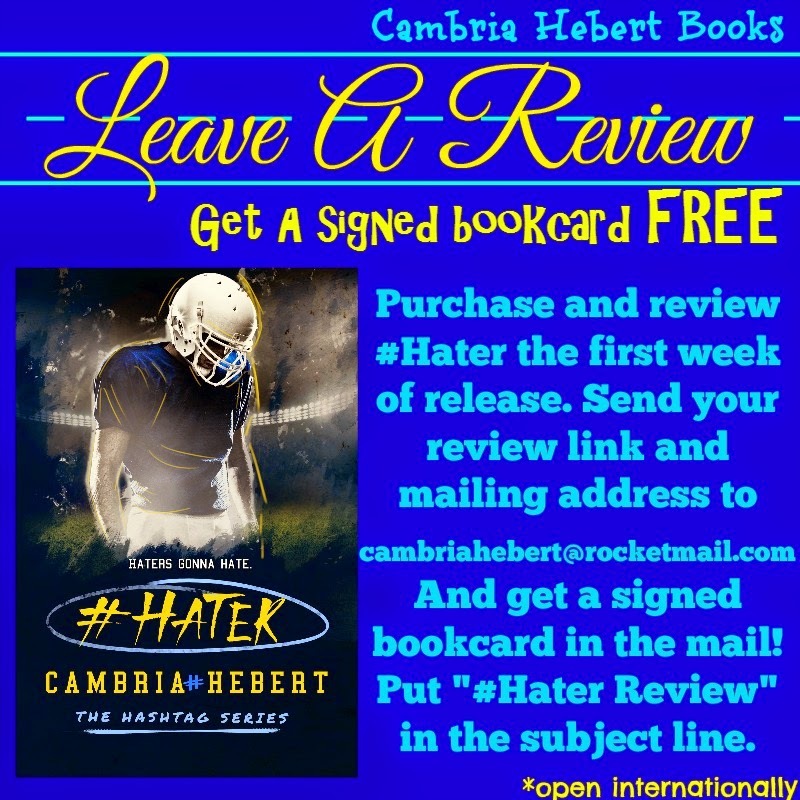 #Hater is a much darker book than #Nerd. Everything that happened in #Nerd, the actions, and emotions of the characters is turned up to 11! Romeo and Rimmel are ‘all in’ in this one, and are pretty devoted to each other. I hate Zach. There’s not much else I can say about him. 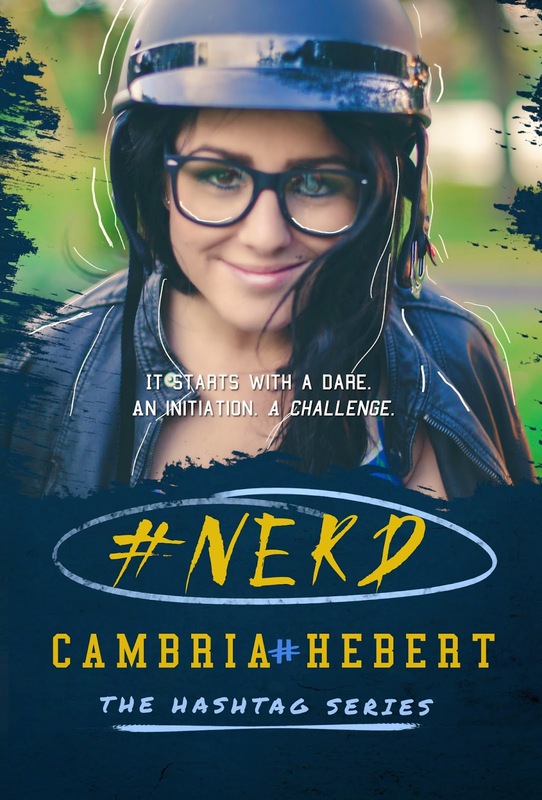 If you loved #Nerd and if you love books that have great lead characters than the #HashtagSeries is definitely something you should look into trying. 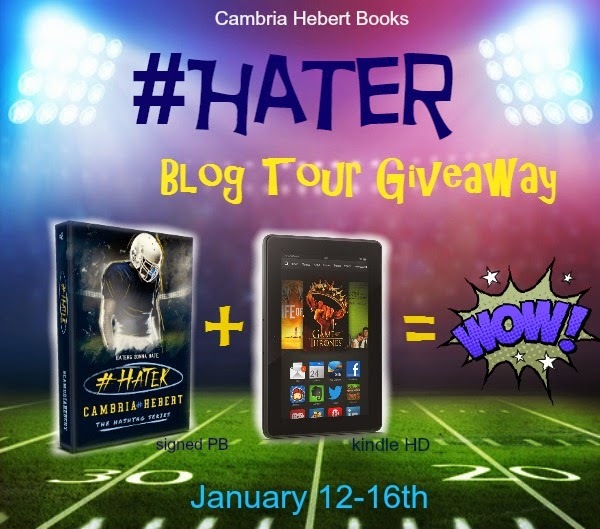 **ARC provided for the #Hater Blog Tour. The distance between us was getting wider. She thought I would just drive her back to campus, that I would just let her walk away mad. I still remembered the night she got out of the Hellcat and walked away from me. The night I had to tell her getting close to her had only been a bet. The hurt in her eyes still cut me to the core. I didn’t want a repeat of that night. Not ever again. Zach had been the cause of that night, and he was pretty much the cause of the space between us now. He was a hater. Plain and simple. I couldn’t. I wouldn’t let the hate he spewed so willingly overshadow everything I had with Rimmel. I agreed with my dad. Her hand was stiff as I pulled her along toward my place, but she still allowed me to lead her. When we got close to the pool, she moved closer to my side, and I angled my body in front of her to block the sight. Once inside, we didn’t speak. She took off her heels and coat, and I went to turn on the fire in the bedroom. When I came back, she was crouched down in the living room, petting Murphy, who was zigzagging around her feet. “You took pictures of me when I was sleeping.” Her voice was calm and quiet, but it filled the room. “Yeah, I did.” I wasn’t going to apologize for that. Deep down, I must have known things might come to this. I was a lawyer’s son after all. I knew things needed to be documented. “Well, you don’t get to decide what’s best for me!” Her voice rose, and Murphy paused in purring to look up at her. “I don’t get a say?” I shot back, trying to hold on to my temper. I opened my mouth, but she kept talking. “You don’t trust me anymore?” I said the words with quiet calm. Surely this wasn’t enough to ruin the trust between us. I strode across the room. It was darker where she was. The lights were off in here, and from this position in the room, the crackling fire in the bedroom didn’t cast much light. My feet stopped when I was directly behind her. Usually, I would touch her without thought. But right then I paused. I wrapped my hands around her wrists, then loosened my grip to slide my palms up her arms to rest at her shoulders. 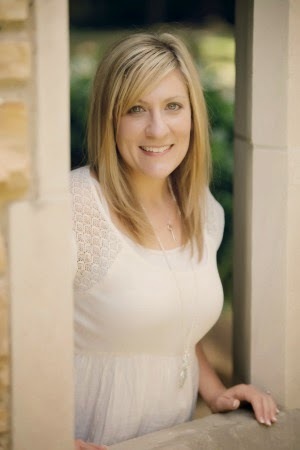 I felt her exhale, and I wrapped one of my arms across her chest and pulled her back against my front. The back of her head hit my chest as I spoke. The silky strands of her perfectly straight hair tickled my lips as I talked, and the scent of her shampoo enticed me closer. She stiffened, but I strengthened my hold, unwilling to let her pull away. I kept my voice whisper soft and my lips right beside her ear. I held off on reading book 1 because I wanted to have book 2 in hand.. 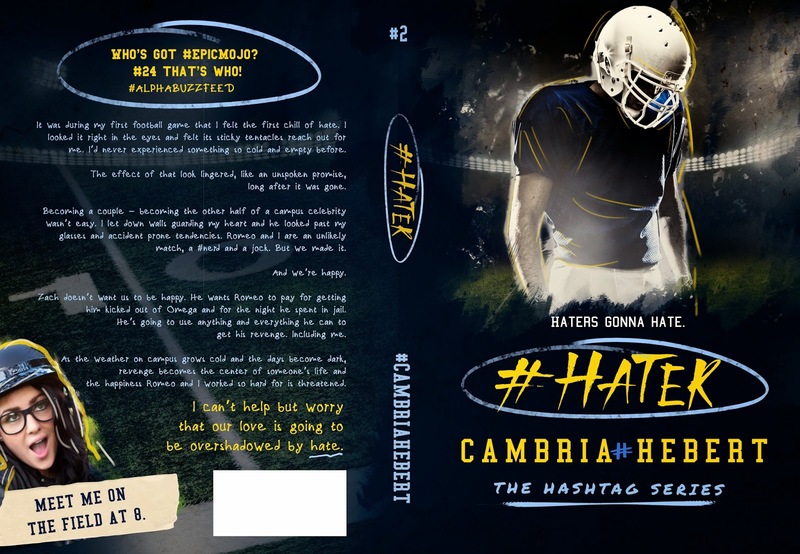 I just started #Hater yesterday and I’m loving it so far… though I’ve only had a chance to read one chapter lol. 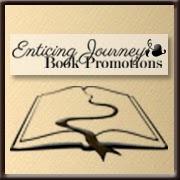 Thanks for sharing your thoughts, it makes me even more anxious to get to reading!